Outpatient treatment of hip dysplasia in newborns has excellent results. A combination of general screening with early treatment with a functional abduction device works well. Treatment with the Frejka pillow and the Pavlik harness is frequently used in our region. 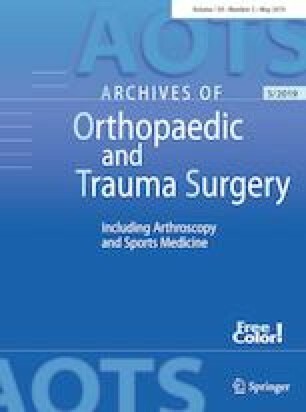 The aim of the study is to compare efficiency and treatment duration, related to the brace used, and to prove that the choice of an abduction device implies parental compliance with the treatment protocol. Data of 286 treated children were analyzed. The diagnosis was made in the first weeks of life by clinical and sonographic examinations during general screening. The choice of treatment device was expert dependent and was involved by many variables. The experience, type of clinical finding and sonographic pathology according to Graf, availability of a treating facility, and the potential cooperation of individual parents were major parameters. The Frejka pillow was used to treat 145 children and the Pavlik harness was used in 137 children. The treatment duration and percentage of infants lost from follow-up in relation to the device used was documented. The success rate of outpatient treatment was 98.6%. In six patients, the type of device had to be changed during the treatment period. Physiological sonographic findings were achieved in all hips by the end of the treatment. The Frejka pillow was used as the preferred device in milder stable dysplastic hips, while unstable and decentered hips were treated more frequently with the Pavlik harness. Treatment lasted, on average, 95 days and 119 days in the Frejka and in the Pavlik group, respectively; there was no statistical significance in treatment duration of comparable sonographic pathologies. We observed statistically greater parental non-compliance with the treatment protocol in the Pavlik harness group (p = 0.0279; OR 2.7; 95% CI 1.07; 8.5). Neither of the abduction devices was inferior with regard to treatment efficiency. We found that parental cooperation was an important factor during screening and treatment. The treatment decision and the choice of the brace must be made with full consent of the parents, keeping in mind that comfort during the nursing care may have a significant influence on compliance with the treatment protocol. Michal Zídka and Valér Džupa declare that they have no conflict of interest and had gained no benefits concerning the study.